The music streaming service has submitted a formal complaint against Apple to the European Commission, claiming the iPhone maker "deliberately disadvantages" other app developers. Speaking to the German newspaper Tagesspiegel on Thursday, the competition commissioner Margrethe Vestager said her office would be examining the issue. She said they would be checking if there were any parallels with their Google case in 2017, in which the web giant was fined a record €2.4bn (£2.2bn) for unfair business practices. "We have to examine the role of Apple and Apple's app store," she was quoted as saying. "If we conclude that they have a market-dominating position, then the case would be comparable to our proceedings against Google." 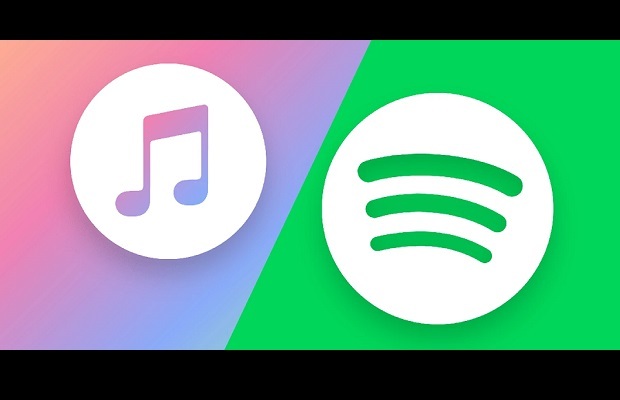 In his blog post announcing the complaint, Spotify chief executive Daniel Ek said Apple has introduced rules which "purposely limit choice and stifle innovation at the expense of the user experience". Apple, which has its own rival streaming service, takes a 30% cut of purchases on its app store - including upgrades from Spotify's free to premium service. Ek said the fee forces Spotify to either artificially inflate the price of its premium service for customers - pushing it above the price of an Apple Music subscription - or to submit to "technical and experience-limiting restrictions" on the app. He added that in some cases, Spotify was not able to send emails to Apple customers. Mr Ek said his company tried to resolve the issue with Apple directly, but had to resort to sending a complaint to the regulatory body responsible for keeping competition fair in the EU.